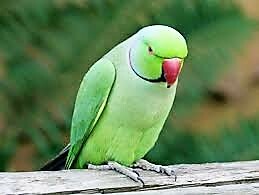 “Learning palmistry?” Lulu, my parrot, asked me as he came in from the window. I was closely looking at the lines on my palm when Lulu asked this question in Sherlock Holmes style. “I understand what happened, old man.” Parrots with their language skills can be as offending as Amit Shah or Rahul Gandhi. I suspect that soon Lulu may be hired by one of the political parties. Rumour has it that Mamata Banerjee has already sent him a feeler. “I understand what happened in your case. The lines or finger prints must have got blurred. Faded as they say. When people get old, lines get blurred. Sorry to refer you as old man again.” Lulu said this with the wink of Rahul Gandhi, the old man or Priya Prakash the young woman. Winking is the national pastime of we Indians. 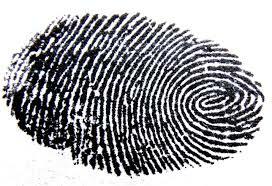 Be that as it may, this old age obliterating finger prints was amusing, and interesting. “What the timid could not do in their young days they will not be able to do in their old age. Forget it. Do you realise that it is as good as losing your identity?” I had not thought of that possibility. I mean, when the police ask who are you, or worse still, when they determine who you are through finger printing, and you hold a slate mentioning your name and prisoner number waiting for the mugshot, they establish your identity by due process of law, if I am allowed to use that term. But what if there are no finger prints? “She spoke this about the people on the death bed: ‘All of the men I nursed deeply regretted spending so much of their lives on the treadmill of a work existence.’ Your finger prints have faded but you can still leave imprints on the lives of people.” Lulu moved closer. He hopped and perched on my palm which I held like the Mughal prince holding a parrot. “Get going Prince, you have lot of work to do,” Lulu said as we laughed.